Here's my star ornament for June. 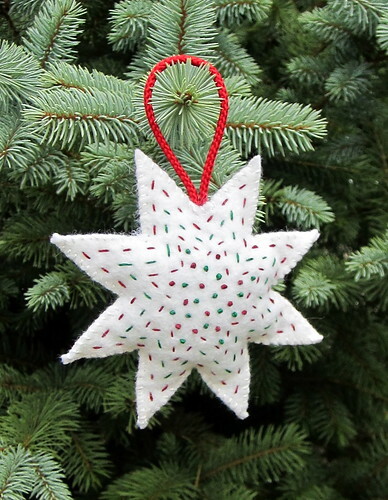 I found an 8-point star template online and decided to add some festive red and green stitching. I outlined the star three times and then filled in the center with French knots. All it needed was a whipstich around the outside to close it up (with a little stuffing inside).